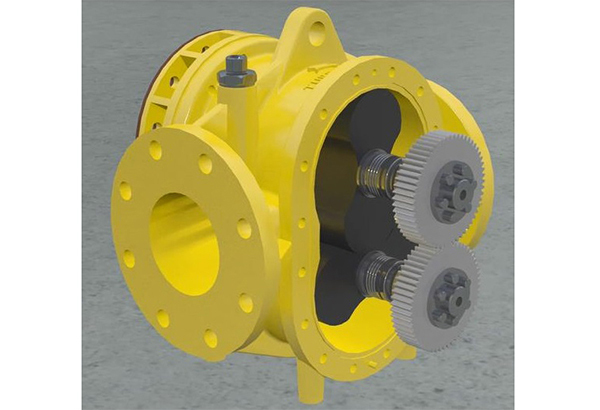 Using more than one hundred years of experience in the design and manufacture of firefighting equipment, Knowsley SK developed the Turbinator solely for one purpose – firefighting. The Knowsley design brief required that the Turbinator must meet critical criteria such as accuracy, ease of use, and reliability, but must also be able to cope with real-life scenarios such as contamination in firewater networks, operation by semi-skilled personnel and the possibility of over speeding in certain applications. The Turbinator comprises two main items closely coupled into a single unit; these are a water motor and a foam pump. The unique close coupled design offers a very compact and efficient installation with just three connections; Firewater inlet, Foam Solution Outlet and Foam Concentrate Inlet. The water motor is a specially designed lobe pump driven by the system water supply, this is an inline arrangement and all of the water continues on to the end of line system so there is no wastage. 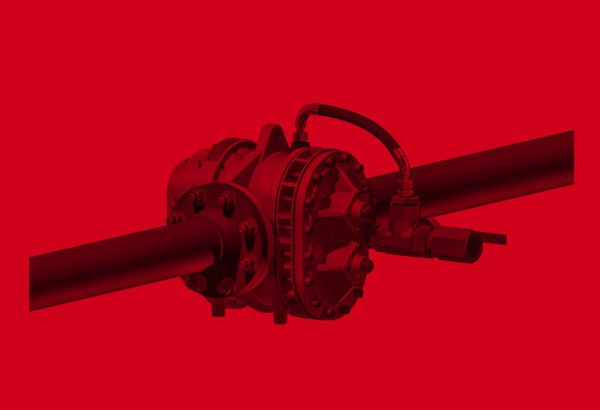 The foam pump is on the same twin shaft arrangement as the water motor and rotates at the same speed. Each full revolution of the water pump moves a fixed volume of water from the inlet to the outlet. At the same time, the foam pump delivers foam concentrate at a related fixed volume and pushes that through a port in the body into the water stream at the outlet side. 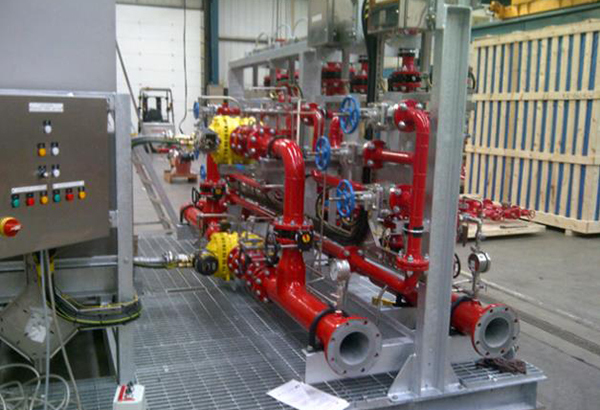 The volumetric relationship ensures that the ratio of foam concentrate to water is fixed over the full operating range. 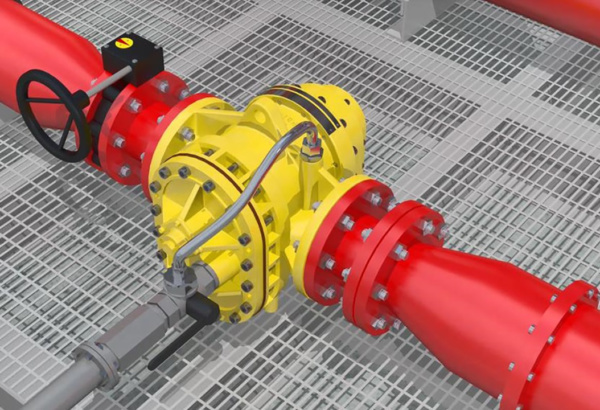 This makes the Turbinator the ideal proportioning technology for systems with varying flowrates such as multi-leg deluge systems, sprinkler systems and combinations of fixed foam systems including large mobile equipment. 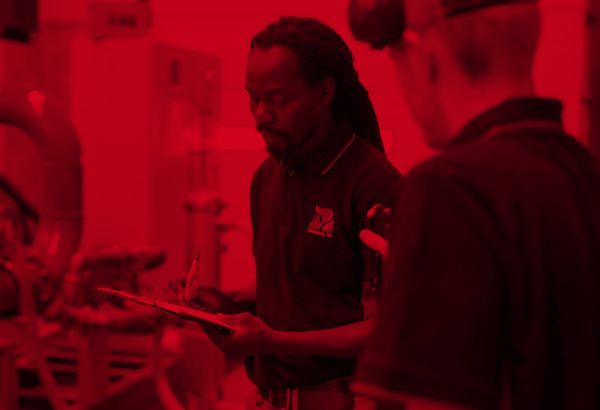 There are no complicated set-up procedures or onsite adjustments necessary, the proportioning rate is achieved at any flowrate and pressure within the operating range. A 3-way valve is fitted in the foam suction piping. In normal use this allows the foam suction to take foam from the associated storage tank or vessel, however it serves a dual purpose as it can be set to isolate the tank and permit water to enter from the inlet of the Turbinator via a dedicated piping arrangement; thereby allowing either a flushing action or to use water for testing purposes instead of foam. In fixed systems the 3-way valve can be actuated to enable remote operation. 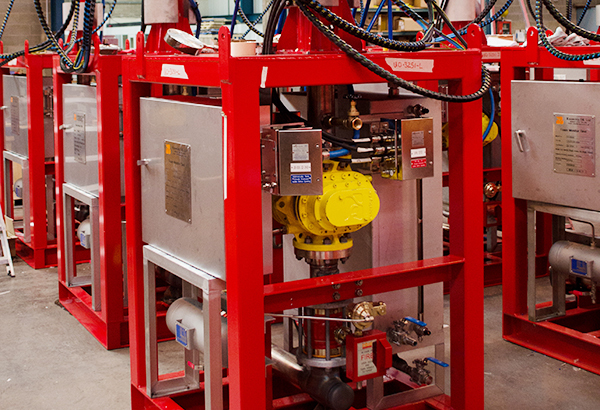 The unit can be simply installed in horizontal or vertical piping systems and can be connected to any type of atmospheric foam storage tank including drums and IBC’s. 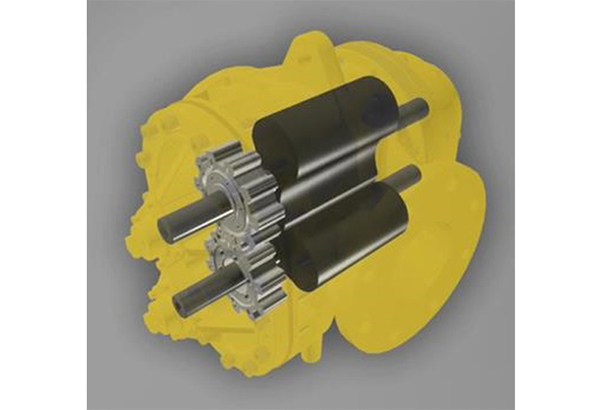 A key feature of the unique gear pump is the strong suction lift capability which enables the foam concentrate storage tank to be located up to 3m below the Turbinator installation level. There is no requirement for priming or venting so activation on demand is possible without user intervention. 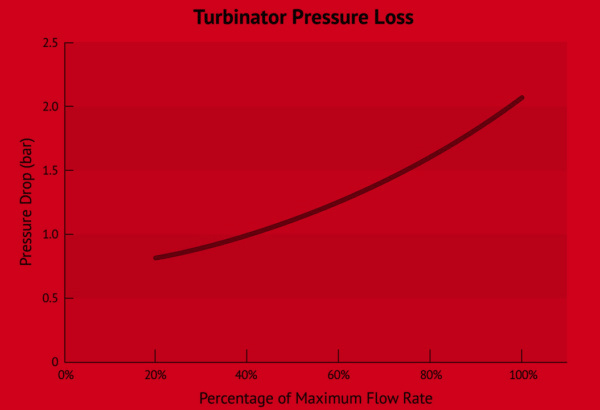 With its unique low differential pressure the Turbinator can be incorporated into the most complicated systems, even when long piping runs or static pressure loss are involved. 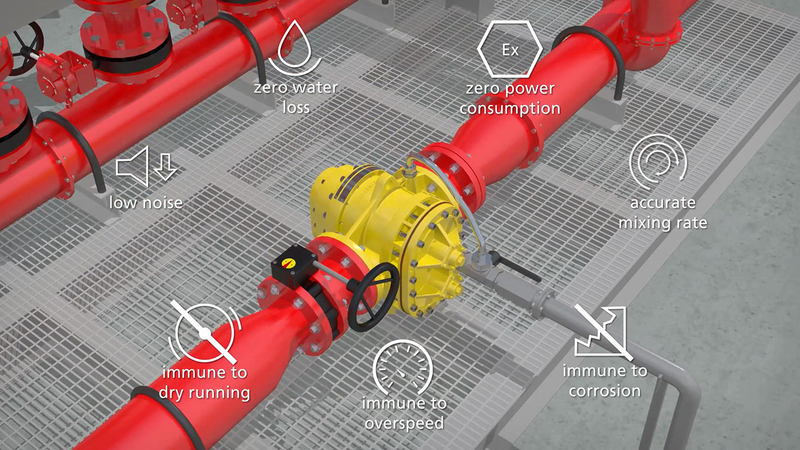 Turbinator does not require external power supplies or control circuits and is safe for installation in any ATEX environment – provided firewater pressure is available then the foam system will be ready for use. Do you have questions about the turbinator?